Soft coding for this list would be 0000067. 1 + 2 + 64 = 67. So what features or functions are enabled to get a soft coding of 0105695? How can I break that down quickly? With Long Coding Helper. The Long Coding Helper file is installed in the same location as the VCDS software, C:\Ross-Tech\VCDS in most cases. 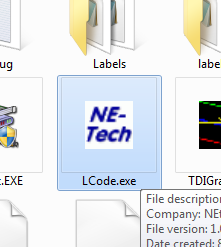 Look for the "LCode.exe" file. Open up Long Coding Helper, and on line 1), type in "+" and the coding value. Add those numbers up and you get 0105695. If the Short Coding inserted is uneven number (like 0105695, 7 digits, not 8, 6 or 4), adding a "+" should not be necessary. And IF a *.sxp should be available, it could be loaded and show that information there is room for. Last edited by NEtech; 03-22-2014 at 09:23 AM. Normal text editor, you can copy the explanation as Jeff showed above. I name it as: 7L (Touareg) 09 (Central Electronics) 07 (Coding - Could also be 10 Adaptation). +0008192 = Off Road Mode? Have no idea what the first 7 values do any suggestions? Is there a list a list available for the code descriptions? If you are after a list of descriptions for every possible controller on every possible car then you aren't going to get that because there are ton of them and each has it's own label file. 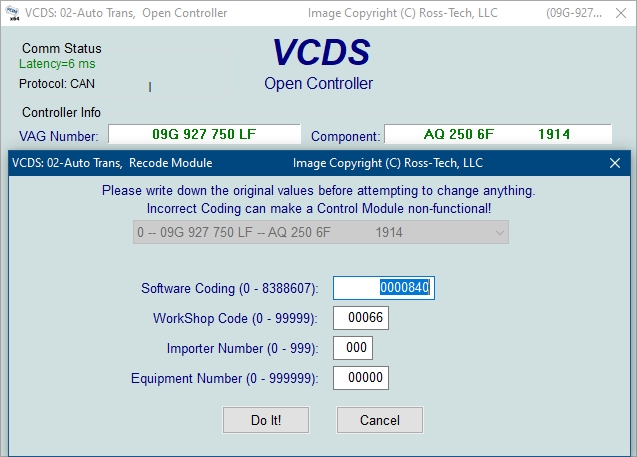 If you take a look in the "C:\Ross-Tech\VCDS\Labels" folder you will see how many files there actually are, each containing a different set of labels for a controller or type of controller. Some of them you can view in notepad because they are just in plain text format, but others are in binary format (probably also encrypted) so you won't be able to see the contents of those. If you are simply after descriptions for the controllers in your own car then the easiest way to have a record of all the settings is to open the controller screen for each of your controllers and go into the "Coding- 07" screen. Then go into the Long Coding Helper screen (where the option exists to do so) and for each byte take a screenshot and/or document the values in a spreadsheet. This will obviously take some time to do for all the controllers in your car but it's the only real option from a consumer perspective. Getting adaptation descriptions is a bit easier because you can just do an complete dump of the adaptation map values to a CSV file for each of your controllers. Reason I ask is that for the door controllers we just get a soft code value and not a long coding helper. 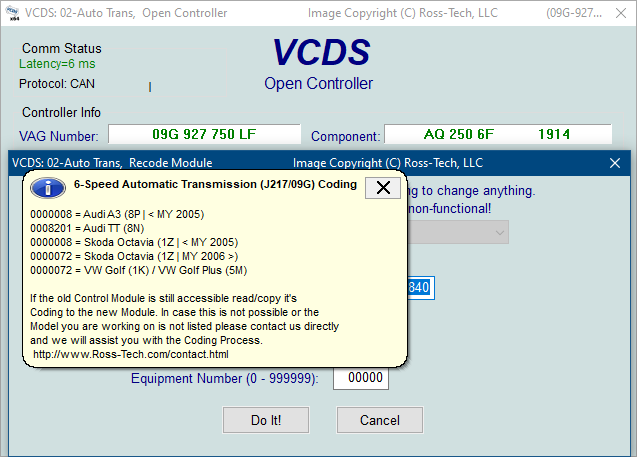 With that I used the vcds decode tool but it does not give descriptions. I'll post up a screen shot later to show you what I mean. I think I know what you mean. It's the Recode screen with a short "Software Coding" value on. These don't always have a Coding Helper but if you click on the code a balloon should pop up with the possible available coding options (see screenshots below). If no balloon appears then it means that the coding values are either unknown or undocumented so you are on your own unless you can find someone who has already worked out what some or all of the individual byte values do. Yes that's the balloon I don't get when I hover in the box. the decoding tool breaks out all the + numbers but it does not give a description of what the numbers are. Looks like I might be in my own then.